Easy to open and dose. TO meet the growing demand for single serve coffee creamers, Tetra Pak has introduced a new packaging line for the Tetra Classic Aseptic 20ml package. The new Tetra Pak A1/Mini operates at more than twice the speed of the earlier TCA/25 version, increasing output to 21,600 packages an hour for the 20ml package from 9,000 packages an hour for the 25ml package. Outside-the-home consumption of coffee and tea is increasing steadily and approximately three quarters of consumers prefer their drinks with added milk or cream. 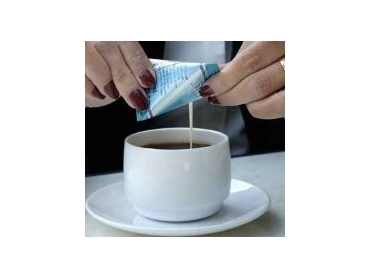 The coffee creamer segment is growing 5.7 percent annually world wide, with estimated sales of $US2.5 billion in 2005. The new and improved version of Tetra Pak’s very first package design, the Tetra Classic Aseptic (TCA) 20ml package, is appealingly shaped, easy to open and dose and has received strong acceptance in consumer surveys. As the only company providing single serve aseptic carton packages designed for coffee creamers, Tetra Pak is able to offer exclusive branding possibilities with the unique shape of TCA 20 Base package. The 20ml volume also meets consumer demand. “The TCA 20 B package is just the right size now that coffee drinkers are using more milk,” said Alex Salling, project manager at Arla Foods, one of Europe’s leading dairies. Arla Foods has been test marketing the packaging system Tetra Pak A1/Mini along with the cardboard packer DSP Cardboard Packer 20-65, since September 2005. The Tetra Pak A1 line is one of the most cost-efficient packaging solutions on the market today. With low operating costs and a low up front capital investment, manufacturers can position their products at competitive prices that local consumers can afford. The Tetra Pak A1 filling machine meets the demand of customers for a low-investment system, which produces packages with a focus on high performance and quality. The Tetra Pak A1/Mini will be released this year in selected markets in Europe, Asia, Africa and South America, with global availability scheduled for the first quarter in 2007.